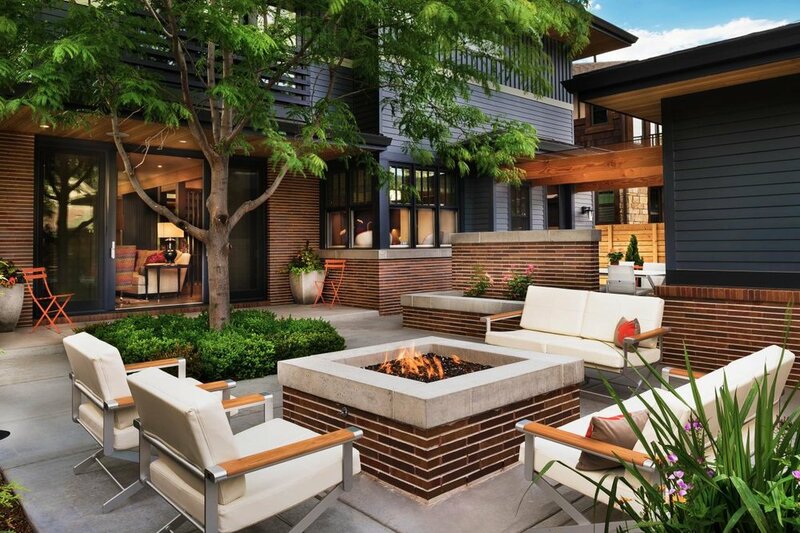 Adding a fire pit or building an outdoor fireplace can be a great way to add a cozy feel to your outdoor space for residents. It’s a great way for families to come together for a smores night or it allows for a romantic evening by the fire for couples. A little fun for everyone! Not only will residents enjoy this during the summer months but since it acts as a heating unit, they can enjoy the feature beyond the season when the evenings are cooler. Summer is all about cookouts and get togethers and since it’s against fire codes to allow residents to have grills on balconies, making sure they have a community cooking area is a great addition to your outdoor space. This cooking area can be simple with a built-in grill or two with some comfortable patio seating, or you can take it to the next level by including other features like a sink for food prep, burners for additional cooking, or even a pizza oven! If you have a pool area, an easy and affordable way to give this area a fresh look is by updating the furniture. New lounge chairs, tables, and even umbrellas can give this area an instant facelift! Looking to bring a more resort-style vibe to your property? Consider adding cabanas and hammocks for residents to lounge in. This gives residents a more relaxed environment to lounge during the day or evening with a book or cocktail. Residents will feel like they’ve been whisked away on a mini vacation! Not all residents want to lounge around during the summer months. 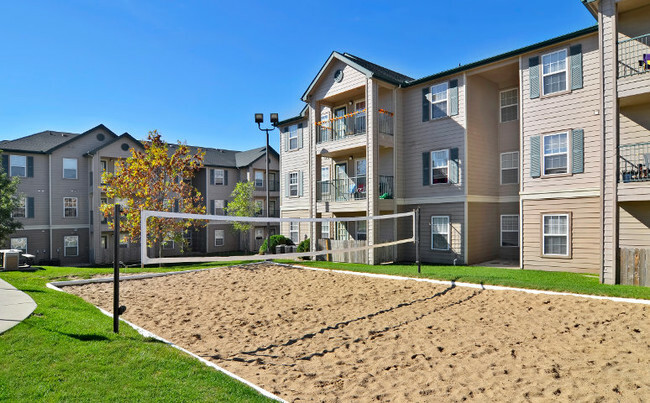 For your more active residents, consider installing some sports areas like a beach volleyball pit or a tennis court. These areas will add value to your property whether your community is primarily families with children, young adults or even older adults. Be sure to also have some seating and shaded areas for resting between activities! Patio heaters are a great addition to your outside community areas, especially if your property is located in an area that tends to get cooler in the evenings. With plenty of heating options available, you can easily find one or more to fit your property’s needs. This will allow your residents to enjoy your outdoor community areas into the evenings and long after Summer has passed. Is there anything better than an outdoor movie in the summer? With portable pull-down screen options, you can easily set up an outdoor movie on a lawn, near the cabanas, or on the beach volleyball pit! If you’re looking for a more permanent option, consider adding an outdoor TV with some comfortable seating for residents to use at any time. 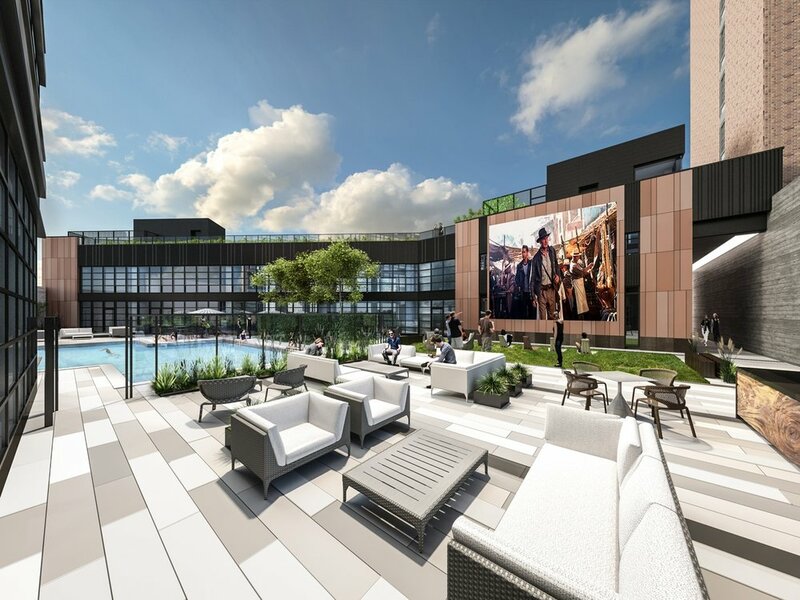 The longer summer days are the perfect opportunity to showcase these new amenities to your residents. They’ll be inviting guests to your property in no time, giving you the opportunity to woo their friends and family members as well. If you’re interested in adding some new outdoor amenities this summer and need some help, contact us today!